Alitalia, Italy’s leading carrier, and Etihad Airways, the national airline of the United Arab Emirates, have unveiled two exclusive livery’s for their aircraft leading up to the Expo Milano 2015, marking their co-sponsorship of the exalted global event! 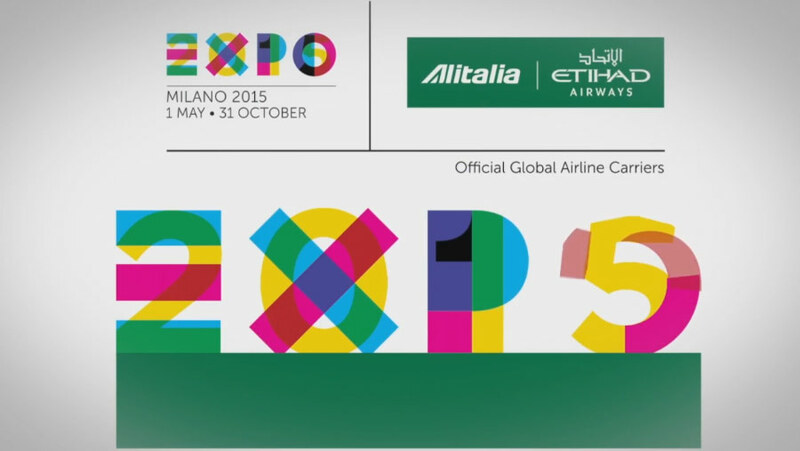 We were honored to be in collaboration with the creative teams of Etihad and Alitalia Airlines for the Milano Expo 2015. Our team of designers has worked on the 2D animation of the Expo logo and 3D modeling of the A320 Aircraft. We created the environment which best displayed the new design by applying texture, lighting, and sound. "